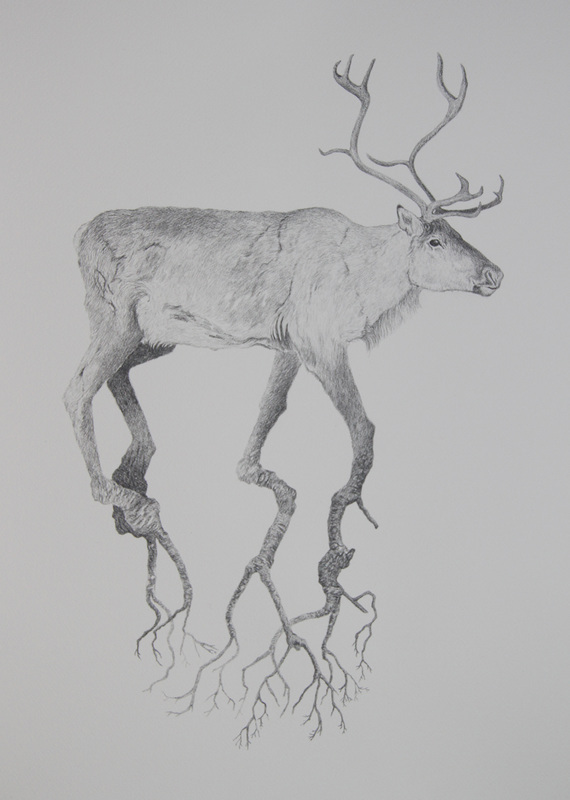 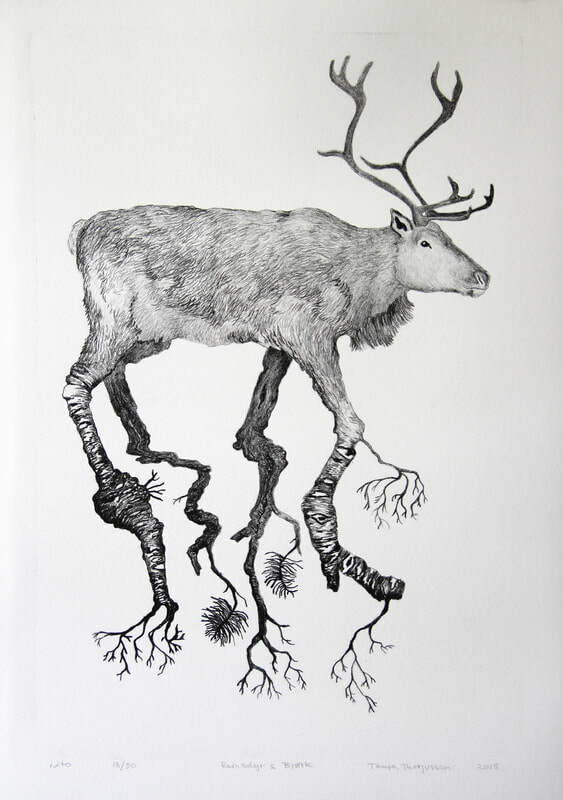 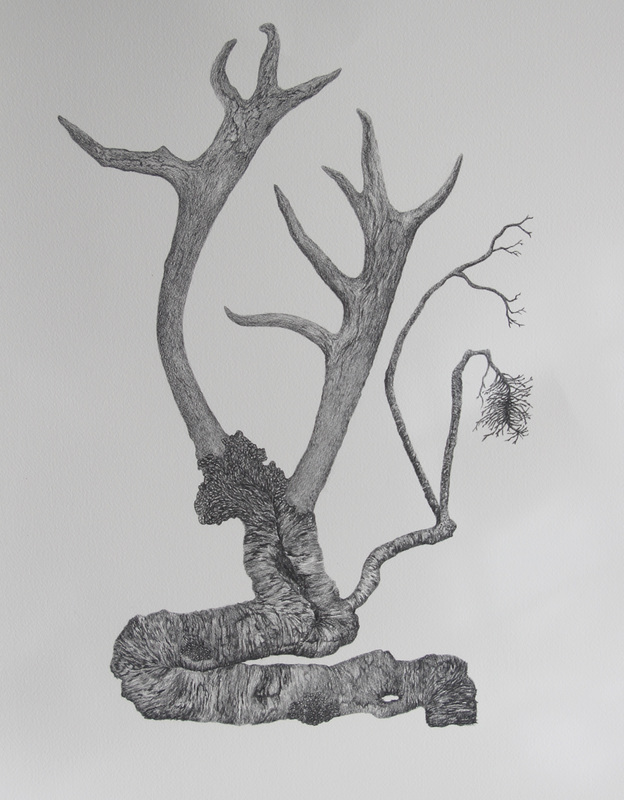 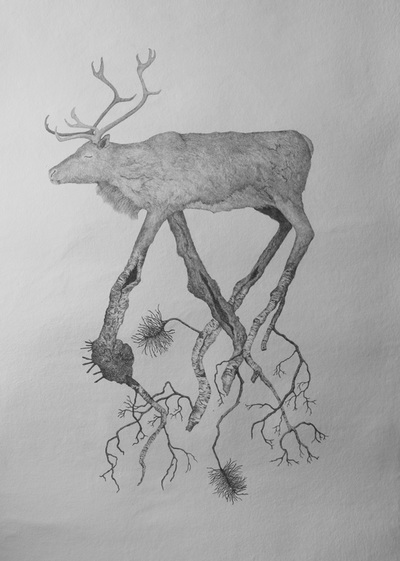 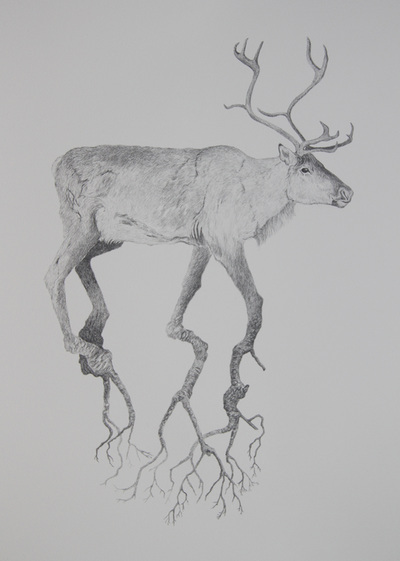 Reindeer and Tree was created while on a residency in Vadsø, Finnmark in January and February of 2015. 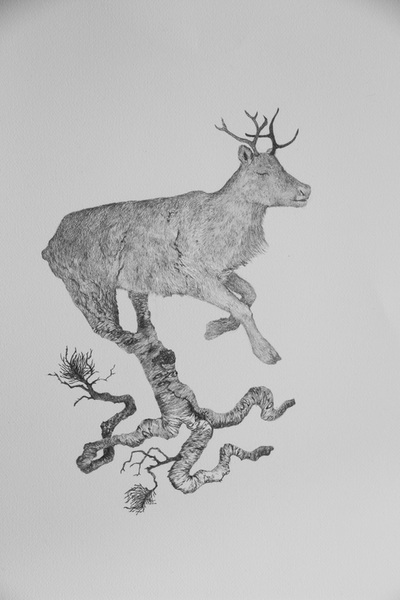 Here I was inspired and influenced by the Reindeer I saw in town, and the characteristically stocky birch tree of the region. 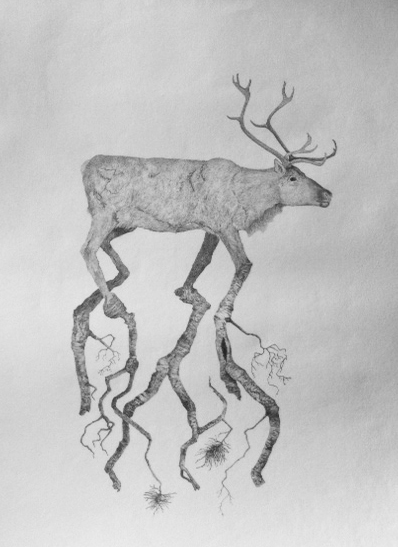 ​The last one is a lithography print, edition of 50.